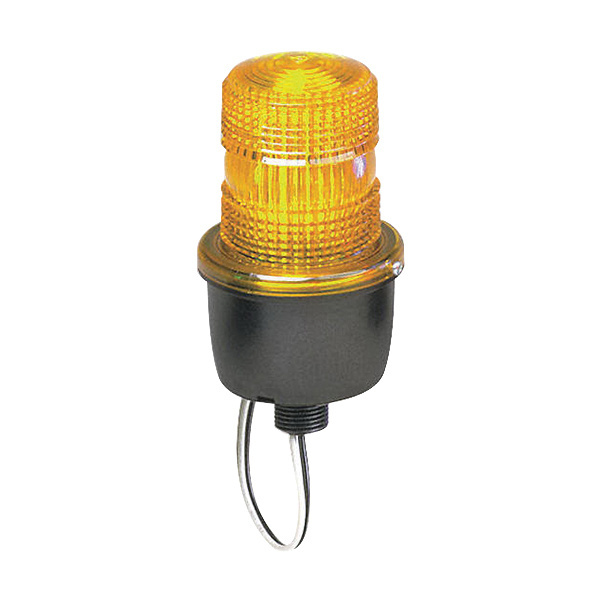 Federal Signal StreamLine® Low profile warning light in amber color, features polycarbonate lens for easy access. It has a dimension of 3.13-Inch Dia x 5.82-Inch. It has a voltage rating of 120-Volts AC and current rating of 0.10-Amps. This light with average life of 70000 hours, delivers candle power of 175000 cd and provides flash at a rate of 65 to 85 fpm. It is compatible with PLC and TRIAC. Light is UL/cUL listed and CSA/CE certified.